You give so much of your time to your family and friends, but it has left you feeling burnt out and exhausted. You feel guilty or selfish if you take time for yourself. You have lost touch with who you are as a woman, with what your passions are, and with what inspires you. You feel like you are merely surviving each day. You know something is missing, but you don’t know how to find it. You don’t know your place in the world. You feel like you’re running out of time to do everything you want to do. You’re wondering if you’re doing enough, accomplishing enough, or are enough. You want to have MORE TIME for yourself. You want to FEEL PASSIONATE about your life and have MORE FUN. You want to know you are fulfilling your PURPOSE. I’m Lulu Bea and I’m here to help you create a life you love. You can do it all, be it all, and have some damn fun while you’re at it! I help women go from believing in their potential, to knowing it. I know what you’re going through right now. ⇒ I knew I had more to give, and more to offer, but I was torn between my responsibilities and my desires. One day, I realized that if I kept waiting for “someday,” I would always find an excuse to put off my desires. I needed to give myself permission, and I needed to do it NOW. ~ Artistic expression is the most real and authentic form of being yourself. We are innate creators, and artistic expression unlocks our inner wisdom to guide us through everyday life. ~ Connecting to creativity is the key to opening new dreams and desires. Through taking the time to actively play within the realm of creativity, you shed the false images of yourself that no longer feel right, and uncover the paths to joy and fulfillment. ~ Spiritual development & creativity belong together. Life lessons implement quicker, healing becomes active, and new tools and techniques integrate deeper when intellect and creativity combine. ~ Committing to what sounds fun is part of the spiritual journey. Too many women think that fun is a bonus IF there is time, when in reality, joy is an integral part of living a fulfilled life (if not the ultimate point of living!) When you are enjoying your life, things naturally fall into place and you find yourself having more wonderful things to celebrate. Taking Ignited Life Academy changed my perspective on being a mother and a woman. I struggled with taking time for myself and putting myself first without having guilt to go along with it. I also struggled with self love and acceptance. 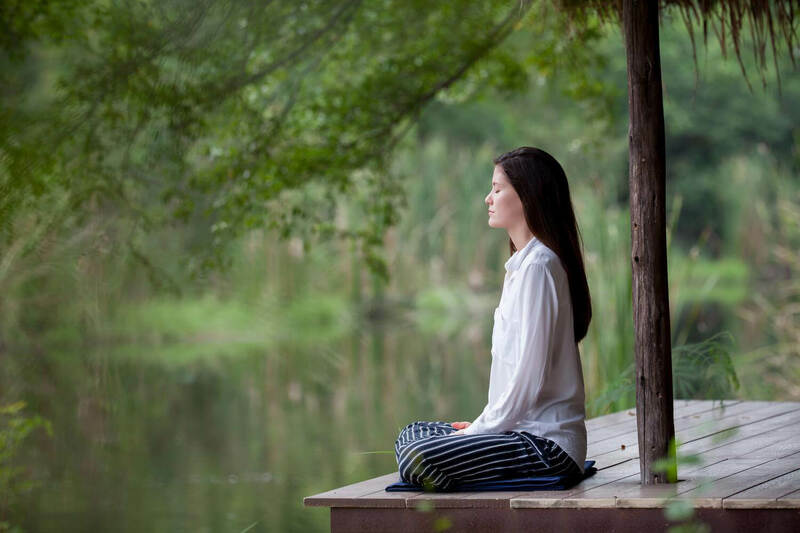 Slowly, throughout the journey of the course, I began seeing myself in a different light – more grace for my imperfections and more self love and confidence. I started making a little time for myself each week to do something that brought me joy and relaxation. I originally enrolled in this course to get myself back to feeling like an individual again – what does ‘Kelly’ like to do? Not what should I be as a wife or a mother, just as an individual. I also found that painting was much more therapeutic and peaceful than I thought it would be! The things I loved most about this course were there was no judgements, and no fear. I had the feeling walking away from class each week that I could do anything I wanted to… no dream was too big! The ‘Ignite Your Life’ Design System is great! With this system, there is no time or room for excuses! Thanks to Lulu Bea’s Ignited Life Academy, I have more confidence that I will be a stronger mother, wife and person who will fulfill her passions and start living a more fulfilled day, week, month and year! My friend, it’s time to get out of your own way. You are meant for so much more, and you know it. That’s why you are here. I know, deep into the depths of my being, that we are here to create a joyous, fun, wondrous, and playful life. You are already a creative person. You are already creating your life, your home, and yourself. It’s in the colors you pick to wear, the food you cook, the decor in your home, the words you choose to express yourself, the doodles you draw while talking on the phone, how you schedule your daily routine… and on and on. These are all examples of everyday creativity. You are already using it!! 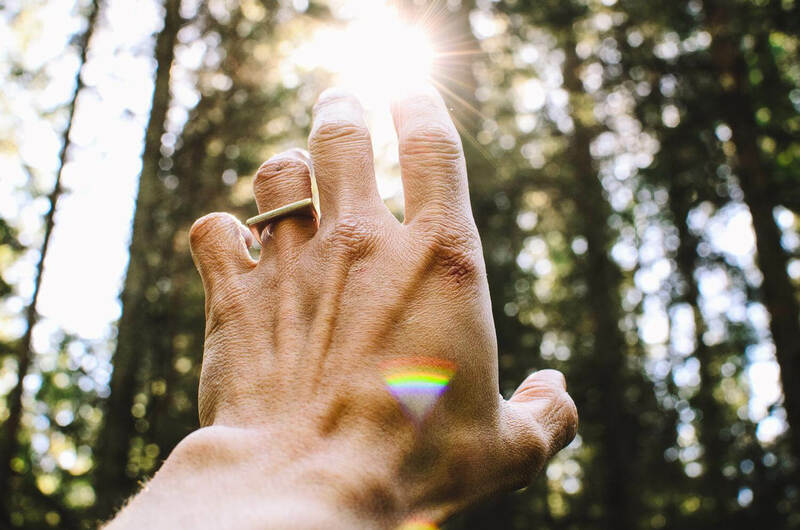 Ignited Life Academy is a one-of-a-kind program that encompasses everything of who I am and what I have learned over the past 15+ years as an avid spiritual seeker and voracious learner of life. I know this system can work for you because IT WORKED FOR ME and my clients. The Ignited Life Academy is for anyone who wants a focused jump start to living a happier and more fulfilled life. The lessons are set up to build upon each other, and in the process, you learn so much about yourself. Once you understand how you spend your time vs. what’s important to you, you explore how you can make changes so you are more in line with your core values. It’s ingenious! The homework and art projects speak to several learning styles, and can help provide visual and mental reminders as you work through the course. I love the art projects we did – they remind me to stay on the path and move forward. Tina R.
It’s time to become passionate about your life, to embrace your true life purpose, and make yourself a priority. It’s time to become an active participant in your days and not let the years slip by without joy being a constant companion. All while having fun being creative! A 6-month art with soul mentoring program for women who who are looking for more meaning and purpose in their lives, to find their passions, connect to their creativity, and commit to their own happiness, so they can live their life purpose, have clarity in their mission, and the confidence to pursue it. Join Lulu on this transformational journey. Weekly self reflection questions – This is where the magic happens. Bi-weekly art projects – Personalize your art using your reflection questions and integrate the lessons you need to learn. 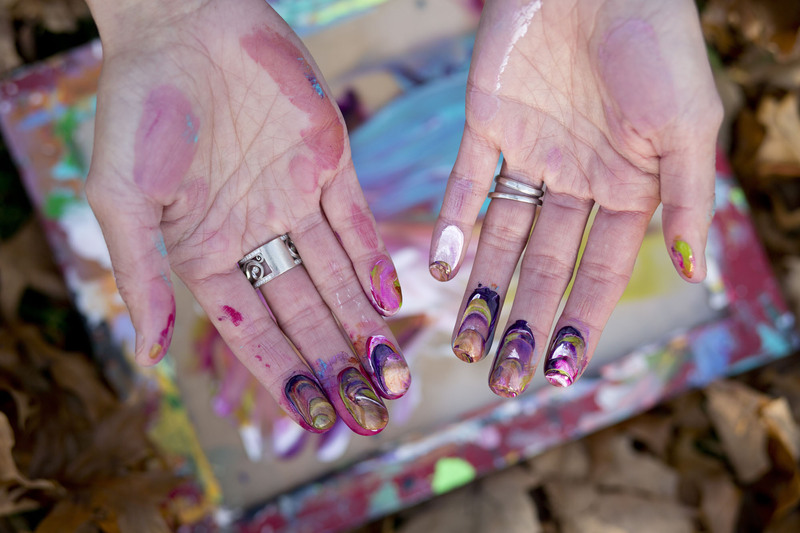 Lifelong access to the course materials – Come back to the art + soul work whenever you need it. Your results will change over time, just like you do. I wanted to take this course because of my deep desire to create and find my inner artist, as well as continuing the spirit journey I have been embarking on. I thought combining art with self-reflection would be a great opportunity to uncover the pieces of my soul. The idea of homework was initially daunting, but as with any important self-discovery action, necessary. Sometimes the questions were easy to identify with, but more often than not, they (sometimes uncomfortably) nudged me to dive down deeper within myself (and not “get stuck” at the surface). The art activities gave me the freedom to play and express my feelings/desires prompted by the homework. This as therapeutic in a much different way than talking to a therapist. It felt much more proactive and healing. This course gave me the prompt I needed to start pursuing my passions in life. I now give myself permission to “just play” with art and will reconsider the assignments at any time when I’m feeling stuck. Thank you, Lulu, for supporting me in this journey. Amy L.H. Hold yourself in as high esteem as you do others and realize the contributions that you already make in the lives of those around you. 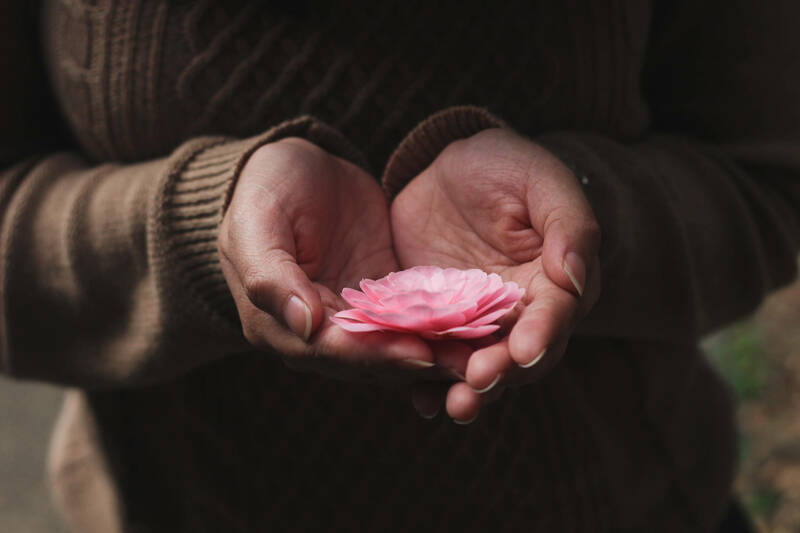 Experience new ways to welcome the powerful practice of forgiveness into your life. Forgiveness offers healing at a soul level, and it will truly enable you to live a life of grace and compassion. Find peace in the life you are currently living, while gathering confidence to move forward with purpose and direction. I’m here to help you be successful in the work we do together, and for the rest of your life. The first thing we’ll do together is prioritize your schedule, and I have 2 great bonuses that will help us do just that. Live a balanced lifestyle by prioritizing the most important areas of your life. 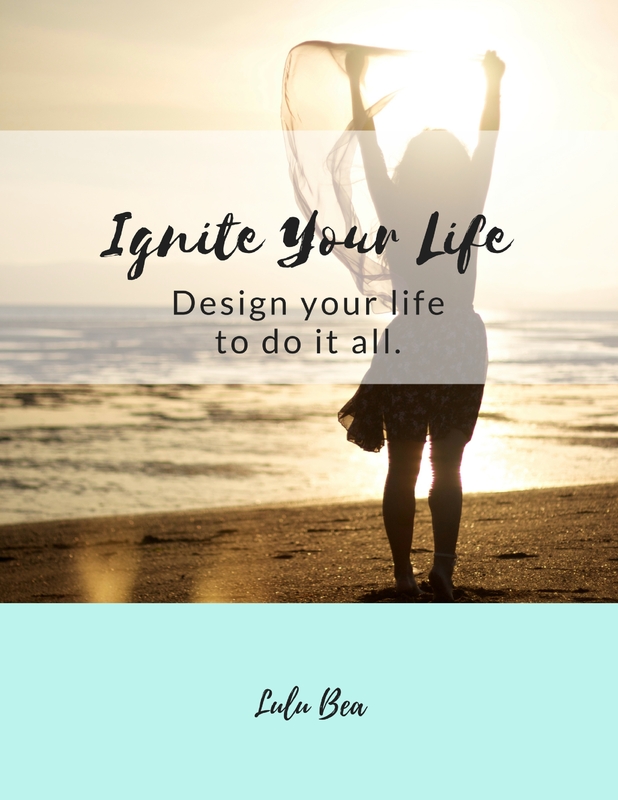 You’ll learn Lulu’s signature Ignite Your Life design system to implement actionable goals and bring fun back into your life. Before we jump into the Ignited Life Academy coursework, we will make sure you are set-up for success from the start by focusing on your living values. Get a jumpstart on art journaling with this foundational course. Learn about different types of art journals, permanent vs. non-permanent mediums, essential art supplies vs. the “nice to haves” and more. Plus, Lulu shares her favorite tips, tricks, and supplies to help you to start this creative art with soul journey with confidence. 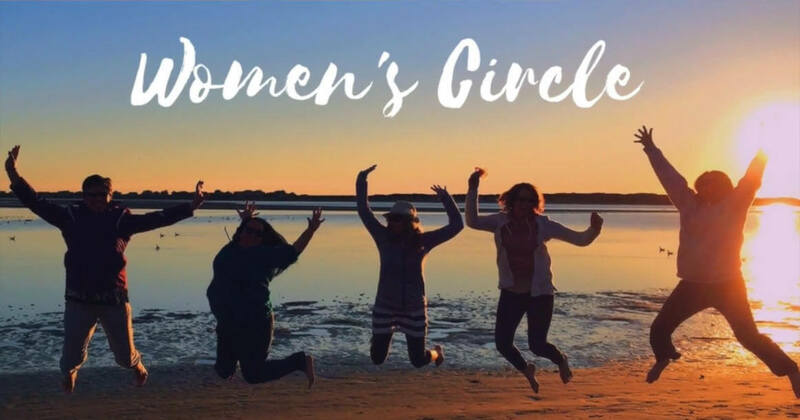 Become part of a greater community of like-minded women from around the world in this private and exclusive Facebook group. 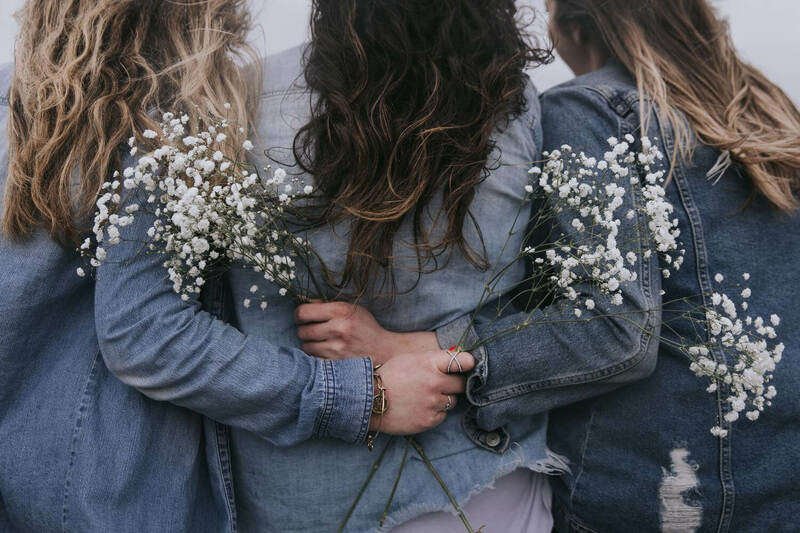 Gain extra support from Lulu, connect with soul centered women, and and become both student and teacher as we support the journeys of our fellow soul sisters. If you’ve been looking for your tribe, then this is it. You get ALL this as an exlusive member of the IGNITED LIFE ACADEMY! What's it worth to have clarity and confidence in knowing you're on the right path? For 18 years, Lulu has been studying and integrating the spiritual and personal development practices for creating joy, peace, and purpose. This is what the Ignited Life Academy teaches you. I’ve known Lulu for 7+ years and can say that she leads with a gentle heart and soul. I recently had the opportunity to work with her in a female, group coaching setting, to create art and conversation around being the best version possible of yourself. 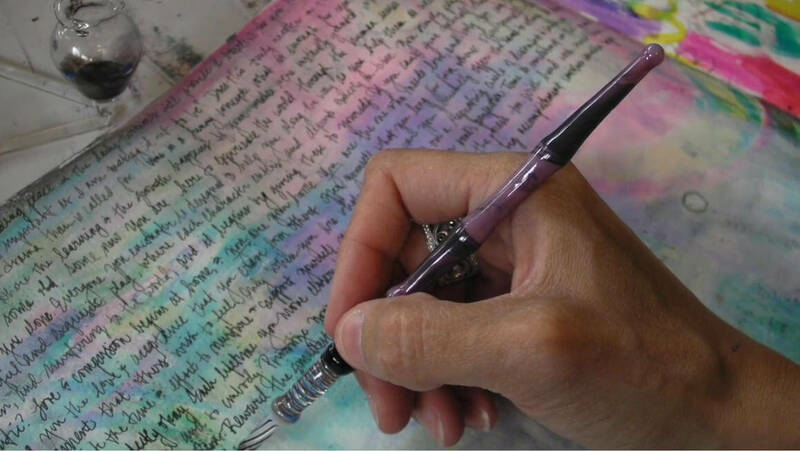 It was a delight to tap into different mediums of journaling and art to get to the heart of what may be holding you back or missing from your life. I enjoyed the sisterhood of the group and the guided instruction Lulu provided on our coursework. She provides a loving, no pressure environment to learn and discover at your own pace. I definitely recommend spending some time with Lulu to hear her thoughts on empowerment, relationships and loving yourself. You won’t regret it! Michelle W.
Why spend a decade trying to figure this stuff out when Lulu has already created a curriculum to take you there now? As with any personal development endeavor, you will only get out of it as much as you put into it. We can’t do it all for you, and we cannot guarantee your specific results, since we don’t know you. We can only guarantee that we have seen nothing that compares to this premium program out on the market. It is one-of-a-kind and has facilitated some pretty darn amazing results. Let Lulu shorten your learning curve and give you the same techniques, building blocks, and practices that she herself used, and uses with her 1-on-1 clients, to achieve amazing life results. Why wait another moment to make yourself a priority? You deserve more! I enrolled in the Ignited Life Academy because I wanted to make space in my week to explore my life and my journey through art. This turned into much more! I was feeling SO tired at the start. But, during the course, I began to make a lot more space for what I wanted and needed. 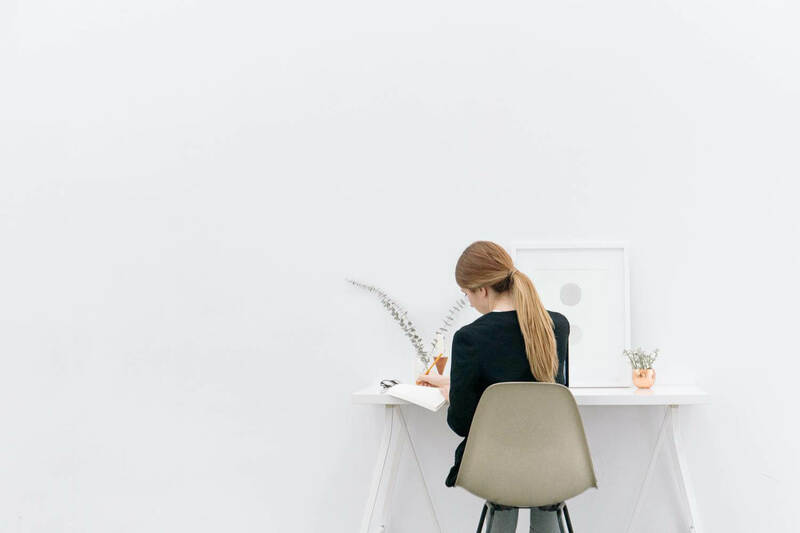 I began to work from home more often – something I hadn’t had the courage to ask for previously. I found myself doing things to care for myself that were previously out of my comfort zone. I also found myself leaving uncomfortable interactions to create space for cooling down – or opting for choices that aligned more with my values. I liked that this course gave me weekly focus for self reflection and then tied into art. There is a value to having a guide to cultivate material and lead you through this process. I was also surprised by how much exploring my values uncovered. And how doable and focused it was. At the beginning, Lulu said you’d get out of the course what you put into it. And intellectually I understood that. But I found as the course went on, my investment became more fierce. The questions were really big questions – the kind of questions you couldn’t answer in 10 minutes. This began to change ME and my approach to the course work. I found myself beginning to make more space and time around completing assignments. If I didn’t know the answers, or had trouble answering, I’d bring them to the group, or reach out to friends or to Lulu. I found that my authenticity and creativity became stronger through exploring these questions and as the class time went on. The class pushed me to explore myself and it pushed me on a journey to explore my life: past, present, and future. This was good because I hadn’t taken time to explore my life this deeply for many years. Lulu’s vision and positive energy, as well as the addition of art and a circle of women, were all unique elements. Lulu is good at explaining things in a clear way, while managing to assign deeper meaning. I trust Lulu as my teacher. She delivers what she says she will. This seems so simple, but there is really something to that. Sarah N.
Disclaimer: We don’t believe in “quick fix” programs – only in hard work, commitment to self-improvement, willingness to put in the effort, and openness to new perspectives. Our programs are intended to help you live your best life every step of the way. Our programs take a lot of work and discipline just like any worthwhile endeavor or personal development program. Please don’t enroll in our programs if you believe in a “quick fix” or want someone to tell you all the answers. We only want serious people dedicated to real personal development who want to improve their own lives and the lives of those around them. As stipulated by law, we cannot and do not make any guarantees about your ability to get results with our ideas, information, tools or strategies. We don’t know you and, besides, your results in life are up to you. Agreed? We just want to help by giving great material, direction, and strategies. You should know that all products and services by our company are for educational and informational purposes only. Nothing on this page, any of our websites, or any of our content or curriculum is a promise or guarantee of results, and we do not offer any legal, medical, tax or other personal or professional advice. No results or examples mentioned by us or our students are typical or should be expected. 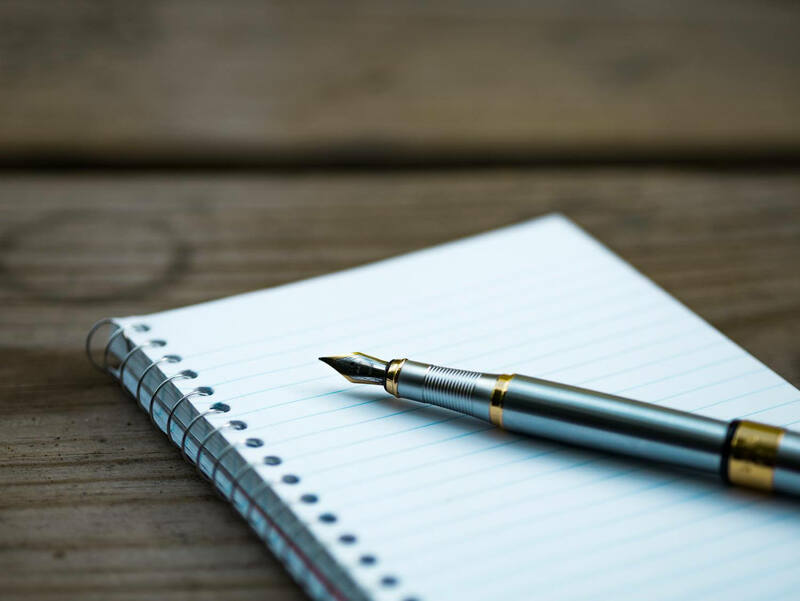 Making decisions based on any information presented in our products, events, services, or web site, should be done only with the knowledge that you could experience risk or losses just like any new endeavor. Use caution and always consult your accountant, lawyer or professional advisor before acting on this or any information related to a lifestyle change or your finances. We feel transparency is important, and we hold ourselves (and you) to an incredibly high standard of integrity. All of our terms, privacy policies and disclaimers for this program and website can be accessed via the link below. Thanks for stopping by. Until next time, keep seeking, keep exploring the world, and always choose kindness.